YouTube’s mobile website, m.youtube.com , has just received an update revealing a new and improved user interface and support for better quality video for mobile devices. This is being called a major downer for iPhone’s YouTube app which may become irrelevant in the update’s aftermath. Unfortunately, the native applications are rarely updated, so users miss the new features added to Google’s service. A good example is the YouTube application for iPhone, developed by Apple, which still uses 5-star ratings, doesn’t support captions, annotations or search suggestions and offers a single sharing option: email. 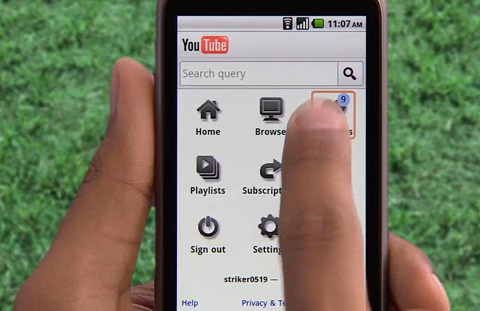 Google’s YouTube application for Android is not much better, even if it’s updated faster. You can check out the new features in the video below.